Our supporters fill Olympia’s city-council chambers to advocate for saving the LBA Woods. OLYMPIA’S CITIZENS SUPPORT OUR VISION: Saving the LBA Woods is not a “neighborhood issue” or a “southeast Olympia” issue. The LBA woods are important to citizens from all quadrants of the city and Thurston County. 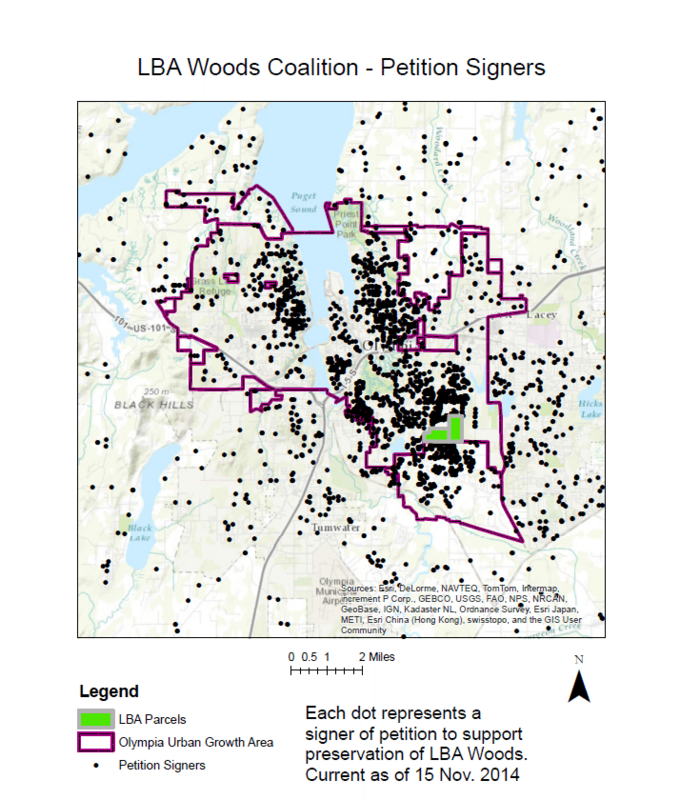 More than 5,500 people have signed our petition urging the Olympia City Council to acquire the LBA Woods for future parkland. The map at right shows the breadth of our support; each dot represents an individual petition signer. Fans of LBA Woods includes kids and their dogs. COMMUNITY GROUPS SUPPORT OUR VISION: Our vision for the woods includes protecting the core forest area as natural habitat/open space accessible through the network of existing walking trails and footpaths. Many people who walk in the LBA Woods appreciate discovering songbirds, owls, woodpeckers, and other wildlife that depends on the forest for food and high-quality nesting habitat. 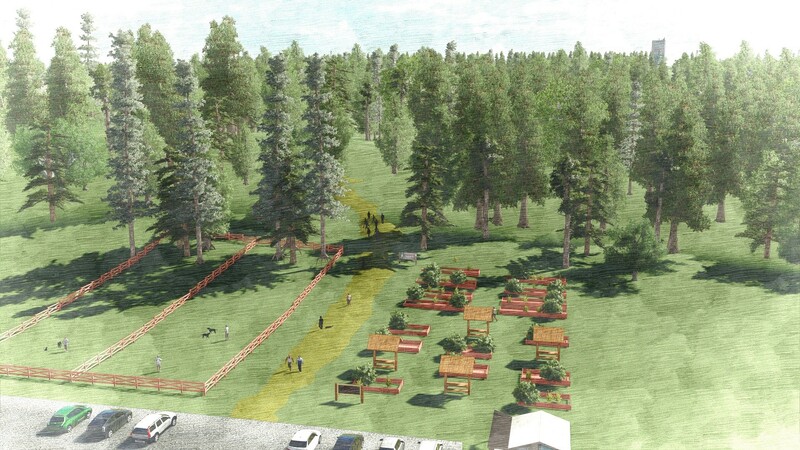 In the flatter areas around the periphery of the woods, there is suitable space to accommodate community gardens, a dog park, and playing fields—amenities long established as needs for our city parks. Read excerpts from these groups’ letters of support. Click on the group’s name to read their full letter. Please contact us to discuss your organization’s support of the exciting possibilities in the LBA Woods.